Jirgens Civil Construction and Civil Works Nowra, South Coast. Jirgens is proud to make lasting contributions to public spaces and recreational places like Greenwell Point foreshore, Callala Beach to Myola Footpath, Huskisson to Vincentia Footpath/Cycleway and more. Jirgens Civil are known for quality civil construction and development works for commercial and residential projects. Our Australian 2nd Generation family business is based in Bomaderry/Nowra to service the NSW South Coast from Wollongong to Batemans Bay, including the Shoalhaven, Illawarra and Southern Highlands. Infrastructure projects depend on us for road widening and resurfacing, new parks and carparks, drainage and foreshore works, plus much more. We are a licensed asbestos removal specialist for Make Safe works on any project. See more Civil Works. 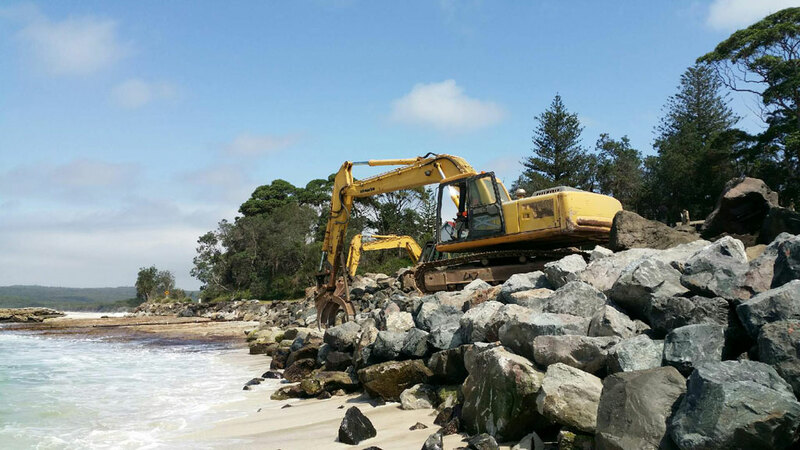 Erosion remediation, bank stabilisation, foreshore revetment are regular Jirgens projects to help keep South Coast commercial and residential properties in good condition. We work with councils, contractors and homeowners from start to finish on construction and development needs. See more Construction. 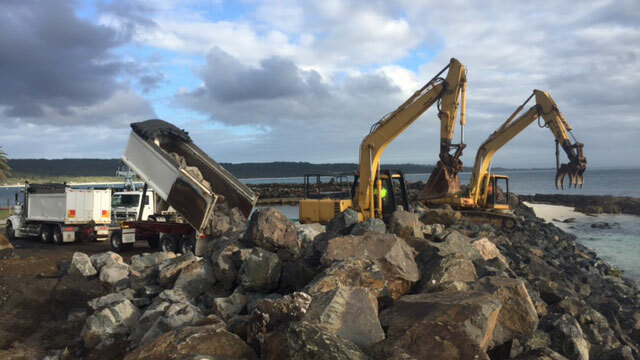 Jirgens Civil is willing to quote any construction project along the NSW South Coast from south of Wollongong to Batemans Bay, and inland throughout the Southern Highlands. Jirgens Civil is a diversified civil construction company operating since 2002 on specialised earthworks, surfacing, drainage and building requirements including asbestos removal.